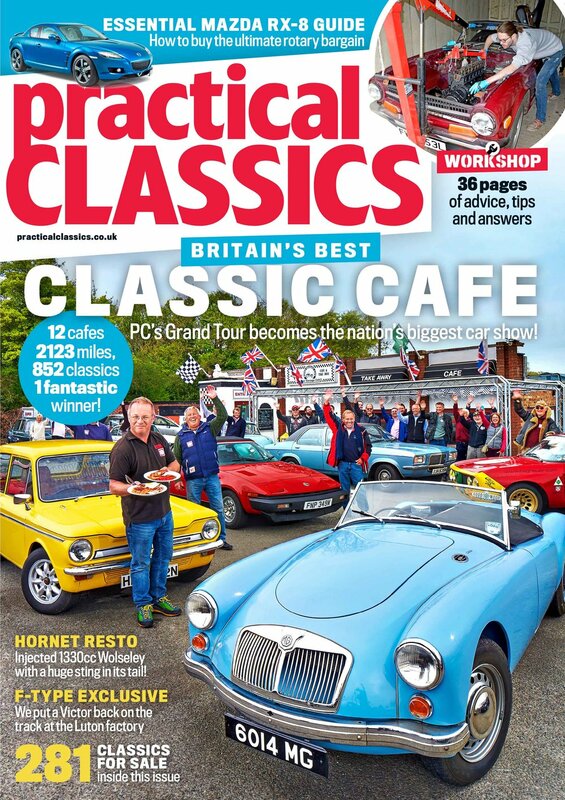 Our June issue tells the story of a man who traded up from a BSA motorbike to his dream Ferrari, which he then rebuilt in true Practical Classics style! PLUS: We meet a TR7 nut, Matt Tomkins tackles France in a fleet of Morris Minors, we find out what it's like to live with a Beetle, immerse ourselves in the world of Range Rover P38s and our minds are boggled by a Tesla we used to rescue a Citroen DS from France. 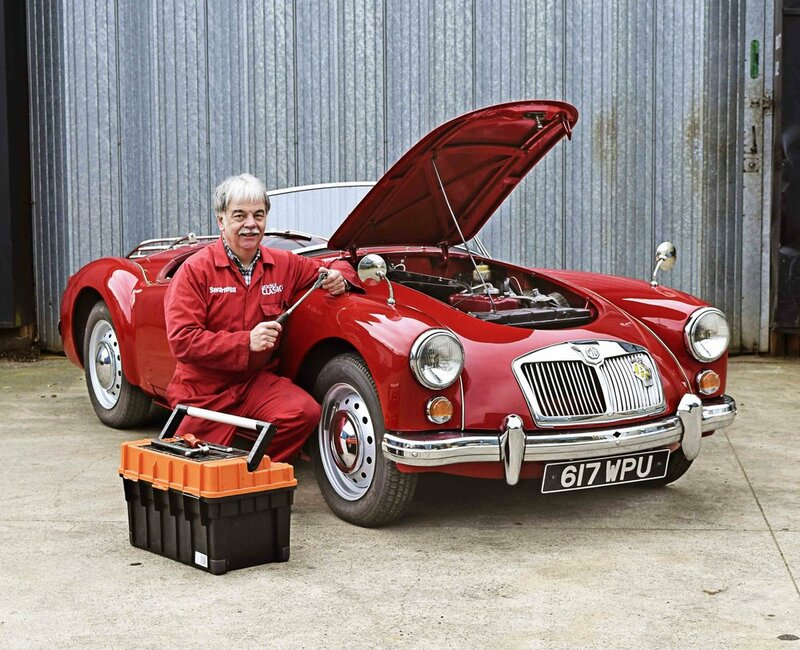 And of course, LOADS of technical advice and tips for restoring and maintaining your classic. It's us... just like you... mucking about with our lovely old cars and grinning a lot. Hope you enjoy the magazine! Most of our restoration tales involve a car rescued from ruin and gradually built back up into an object of history-infused beauty. This one is a bit different. It’s about starting with a £30 BSA Bantam and ending up with a truly fabulous Ferrari. Here, it’s trading up rather than smartening up, all to the backdrop of simultaneously building up a successful business in fitting out high-end offices. Then, having got the dream car, the dream car turns out to be not quite so dreamy after all. That’s where the restoration part kicks in. Andrew Seward never expected the hands-on skills he’d learned over the years to be needed quite as much as they have been. What he has proved, though, is that a man in a well-equipped shed – two sheds, in Andrew’s case – can fettle a Ferrari as much as a Fiat or a Ford. Dr Dave Bulman was an engineer with a passion for club rallying. He was also a technical advisor to BL Motorsport involved in the TR7 V8 rallying programme, so he knew a thing or two about preparing British Leyland products for competition. Our James heads for France and discovers the Tesla isn't the world's first automated car, after all... Evidently, it was a DS! 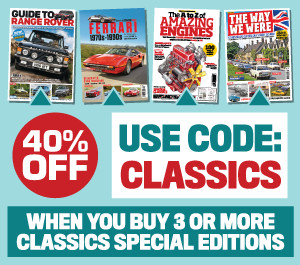 Read more in the latest issue of Practical Classics. The MGA ushered in a new dawn for MG in 1955. It was more sleekly-styled that its TF predecessor and introduced the B-series engine fed by twin SU carburettors that became the marque’s mainstay. Unlike the later MGB, though, the A featured a relatively simple separate chassis construction. The A’s front engine/rear wheel drive layout was entirely conventional and the 1489cc and later 1622cc overhead valve engines were easy to look after for owner-drivers of the day. The same is still true 60 years down the line.